Khursheed, A., Mustafa, F., Arshad, I., Gill, S. (2019). Work-Family Conflict among Married Female Professionals in Pakistan. Management Studies and Economic Systems, 4(2), 123-130. Ambreen Khursheed; Faisal Mustafa; Iqra Arshad; Sharoon Gill. "Work-Family Conflict among Married Female Professionals in Pakistan". 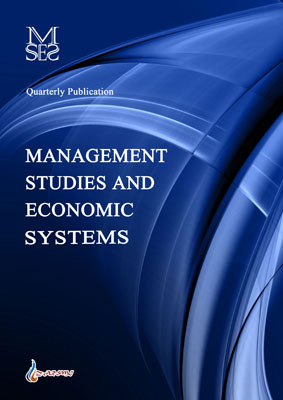 Management Studies and Economic Systems, 4, 2, 2019, 123-130. Khursheed, A., Mustafa, F., Arshad, I., Gill, S. (2019). 'Work-Family Conflict among Married Female Professionals in Pakistan', Management Studies and Economic Systems, 4(2), pp. 123-130. Khursheed, A., Mustafa, F., Arshad, I., Gill, S. Work-Family Conflict among Married Female Professionals in Pakistan. Management Studies and Economic Systems, 2019; 4(2): 123-130. Over the past few decades, a significant change in the nature of employment and family patterns has been observed globally. The objective of this paper is to determine how work requirements affect family by exploring the phenomenon of the work-family conflict (WFC) and how the family demands impinge the work life – the family-work conflict (FWC) by examining the key issues leading to this critical issue. The qualitative phenomenological case study method is used, the data were collected by conducting in-depth interviews from 50 female respondents working in 12 private and public organizations of Pakistan. The findings showed a strong negative relationship between long working hours and lack of spousal support with work-family conflict. The findings recommend that an effective way to reduce the work-family conflict is through developing a positive and comfortable working environment for employees. Furthermore, the findings stressed the need to frame guidelines for the administration of work family conflict at the organizational level as it is associated to the job contentment and performance of the employees.